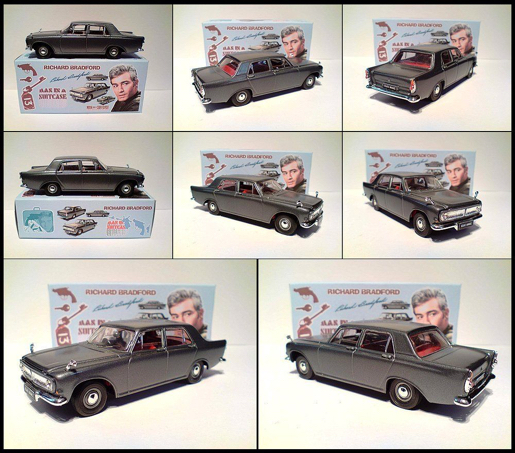 Spy fans across the Net have been buzzing again recently over the appearance of high-quality die-cast models from classic shows like The Saint, The Avengers, Danger Man, The Prisoner, The Man From U.N.C.L.E., UFO, and many others. 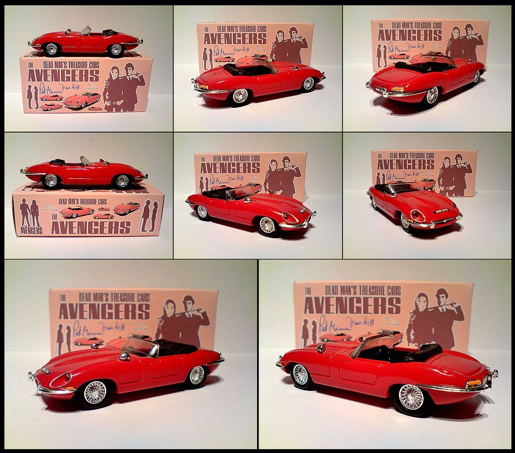 The pieces not only represent rare and obscure vehicles that appeared on-screen in specific episodes, they also come packaged in gorgeously design boxes with classic graphics. 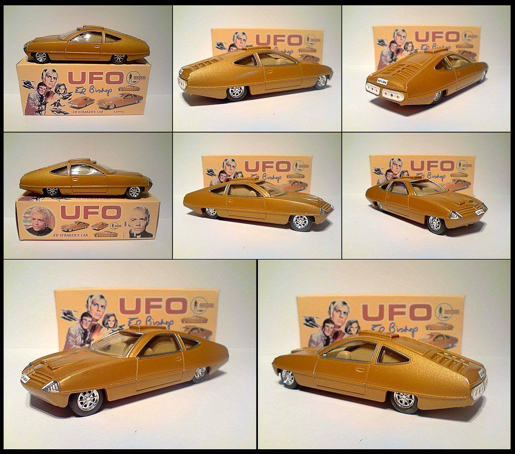 Each car and box is custom made and, given the small production size, prices can get quite high on eBay. I ran a short post about the models a while back back, and though we all enjoyed the images, I was still curious to learn more about the cars. Who makes them? What is the process? I contacted the artist, Jim Wilson, back in 2015 and he kindly stopped by the Spy Vibe lair to chat. Since his cars are still getting well-deserved attention, I thought I'd share our interview once again! Mr. Wilson is a first-generation spy fan who grew up collecting Corgi toys and visiting the likes of Roger Moore and Patrick McGoohan on-set. In addition to his modeling, which he does to support UNICEF, he has also made graphics to support the cause through Roger Moore's website. Click images below for large view. Welcome, Jim! Did you grow up following the great spy shows from the 1960s? Can you recall your first introduction to that world? 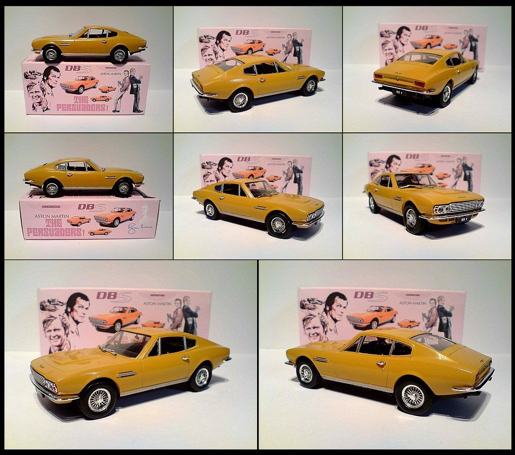 The earliest memories I have of spies was James Bond in From Russia with Love and Goldfinger, when my elder brother took me up to Hamleys to see the Aston Martin and the motorbike from Thunderball on display. We were allowed to see all the gadgets working and sit inside the Aston Martin and from then onwards I was hooked on anything to do with secret agents. Wow! That must have been so exciting to sit in the Aston as a kid. What were some of your favorite series? What did you love about them? My favourite TV series in the 60’s had to be The Man From UNCLE, mainly because it was the only show at that time that delved into a new world that hadn’t been seen on TV before, and the characters and gadgets had most of us kids in the UK hooked. Another show that played a big part in my growing up was The Saintstarring Roger Moore, along with Danger Man with Patrick McGoohan. The Saintwill always have a special place in my heart, mainly because I got to see Roger Moore on an off screen once when we were taken as kids to Elstree Borehamwood studios to see The Saint being made. Also, during the early 60’s I was in a children’s home and Roger Moore came to visit us and brought along presents and the famous Volvo, so it showed me that some actors go out of their way to do things they don’t need to do, which also got me involved in UNICEF many years later. 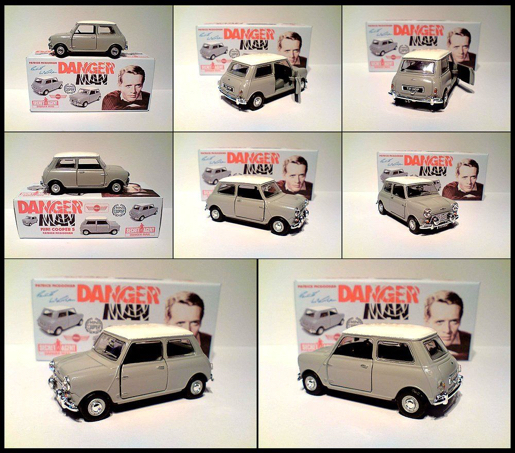 As for Danger Man, we used to go down to Whitstable to watch some of the shows being filmed and Patrick McGoohan would come out of the fighting scenes in the water and sign autographs for us kids and talk to us. I know many of us wish we could have seen Moore and McGoohan on set. What a special memory! 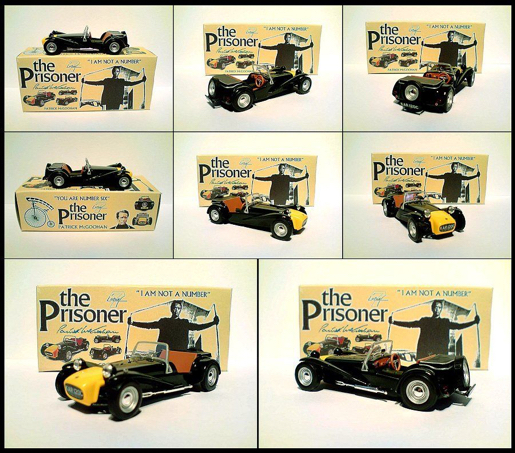 Did you collect the Corgi and Dinky toys? Which were the best vehicles produced back then? Yes, I did collect most of the cars from the 60’s along with thousands of other kids! 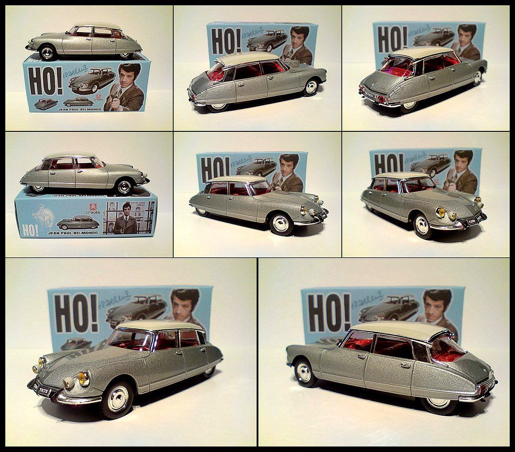 Mainly the Corgi models because they were all TV-related but, like all kids, the first thing we did was throw away the boxes to get at the car inside (if only we’d known how much they would be worth today with the box)! My favourite would have to be the James Bond DB5, along with the Batmobile. I was, in those days, very disappointed with The Man From U.N.C.L.E. Corgi toy because it did not resemble any cars they drove. Corgi just stuck a logo on the bonnet and hoped for the best! And it worked, because we all bought it! Corgi Husky brought out the proper U.N.C.L.E. 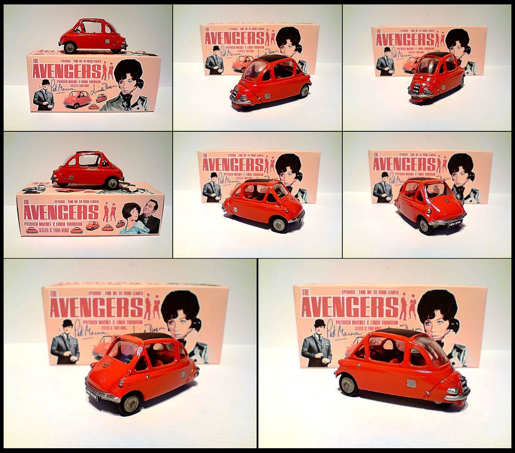 car in miniature scale and that became the top U.N.C.L.E. car to own at that time. How did you become interested in making models? This I will always remember. Later on in life I wanted to buy an original CorgiSaint Volvo car with box. So, I started searching the internet to find one and, to my horror, sellers all over were selling them for between £200 and £300, which really shocked me. So I bought a broken Corgi Volvo and started to work on it. To my amazement, I produced an excellent model and so then went about printing a replica box. I started to make a job lot of them and started to sell them on E-Bay for £29.99. They sold out within minutes of me putting them up for sale. At the time I was just beginning work for UNICEF, so I donated most of the funds to them, because during this time I was working in conjunction with the official Roger Moore site making wallpapers, screensavers, calendars for Saint and Roger Moore fans to download from their website. 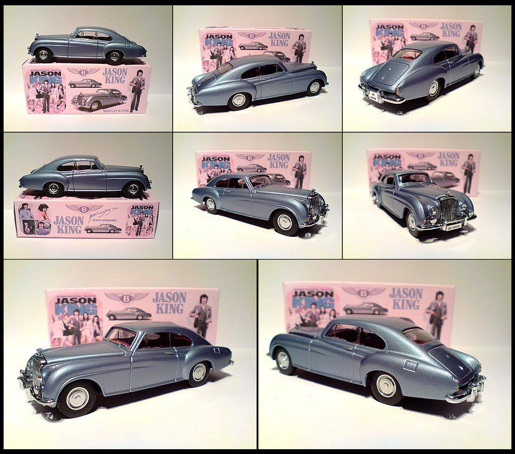 Being as I was retired, I decided to start making more TV-related models for collectors of cars that weren’t available elsewhere. For readers who are unfamiliar, please tell us a bit about the world of code 3 models and customized pieces. The word Code 3 means in the modeling world that someone has taken an original model and transformed it, or re-sprayed it, to look like a different version of the original model. But I would always advise anyone buying models on E-Bay, etc to be careful in what they buy because a lot of sellers use the word 'Code 3' very loosely and some of the paint jobs give decent Code 3 sellers a really bad name, which is a shame because there are a good number of Code 3 makers who are really good at their work and do not charge the earth for their models. It is entirely up to the customer if they want to bid higher than the next customer. I always try to get the best cars I can to produce my models and I put a lot of time and effort into making sure the customer buys something from me that I would be happy to buy from someone else. But there are a lot of people who are just using collectors as a way of making lots of money and they don't worry about the product they are selling. My motto is: never sell what you would not be happy to buy yourself. 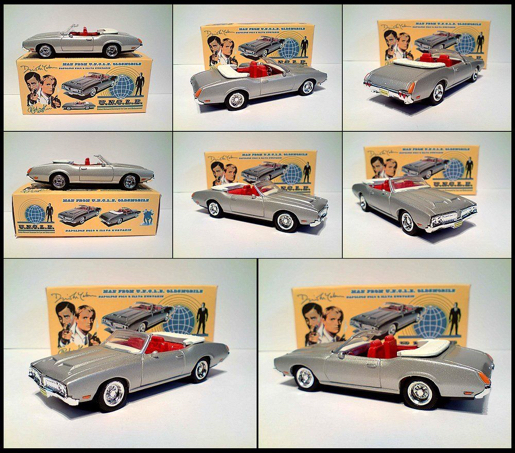 Tell us about your experiences getting into making 1960s spy TV models. How did it all begin? Going back to the earlier question you asked, it all began with The Saint Volvo that I was trying to buy. Plus I have a background in graphic art, along with car spraying (real cars), and I make each model the same way as if I was spraying a real full-size car, which includes stripping down the model to bare metal, filing any imperfections out, wire brushing, then priming the model, then re-spray and lacquer and also buffing the model up afterwards, in between adding all the finer details. I source my materials from all over the world- the internet, toy fairs, word of mouth, contacts, plus many of my customers send me a wish list of models that they would love me to make, so if available, I do try my best to do that for them. Which are some of the most popular cars you've made? 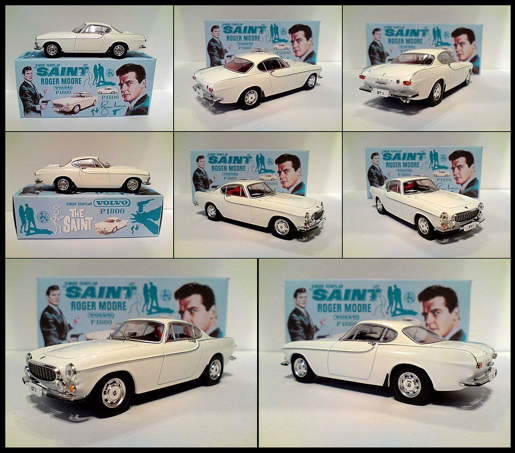 The Saint P1800 will always be one of my favourites, but the most popular are the various TV-related models. I've seen really enthusiastic responses to your work, but most fans don't have deep enough pockets to invest, especially with eBay prices. Are fans able to request pieces directly from you? What you have got to remember is that I do this mainly as a hobby and to make a few pounds for UNICEF. I have no control over the prices that some of the models will go for because I only sell models at a set price on E-Bay etc, and all I ask is that I get back the funds that I have paid out buying the cars, paints etc, so any extra money made on the models helps my charities and I find the internet the best way of selling. If I was to spend time making private models, then it would become too much of a hindrance to my aim. I am not in this for the profit, but the pleasure of making the models and seeing the finished items with the Code 3 display box. I'm glad we are able to spread the word about your contributions to UNICEF. I imagine many fans will want to help support that cause by purchasing your models. Do you have a collection of model cars and other TV tie-in pieces? What's on your shelf? Most of the cars I have in my collection are originals from the 1960’s forward- too many to even mention! I can imagine. 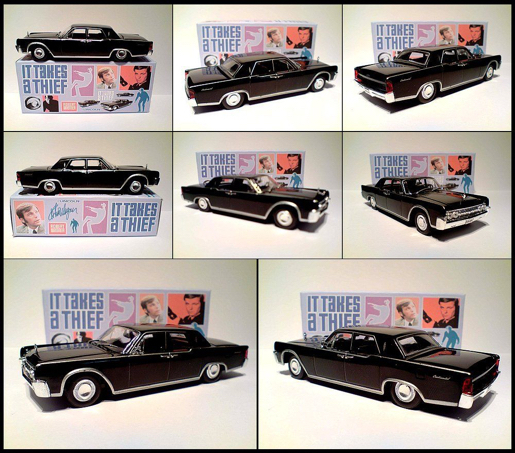 If you could drive the real things, which are your favorite cars from 1960s spy TV and film? It has got to be The Saint’s original Volvo and probably the James Bond Aston Martin DB5 (but at least I have the memory of sitting in it and turning the steering wheel). Spy Vibers, also please check out my new book (over 700 pages!) about one of America's most successful cartoonists. On other creative fronts, Spy Vibers might not know that I began exhibiting as a fine art photographer in the late 1980s. I haven't really shared that part of my life here, but readers might like to see some of my work on Instagram. Enjoy!